One of Spain’s top red wine–producing regions, Ribera del Duero is located in the northwest of the country, about two hours north of Madrid, in the center of Castilla y León, Spain’s largest autonomía, or state. Ribera del Duero runs from the east of Aranda del Duero westward to Valladolid. Its name translates as riverbanks of the Duero. In fact, the region’s vineyards flank the Duero River to the north and south, stretching up to the limestone cliffs where the valley intersects with the Meseta Central, a plateau that rises between 700 and 1,000 meters above sea level and varies in width and depth throughout the valley. Courtesy of Ribera y Rueda. One of Spain’s top red wine–producing regions, Ribera del Duero is located in the northwest of the country, about two hours north of Madrid, in the center of Castilla y León, Spain’s largest autonomía, or state. Ribera del Duero runs from the east of Aranda del Duero westward to Valladolid. Its name translates as riverbanks of the Duero. 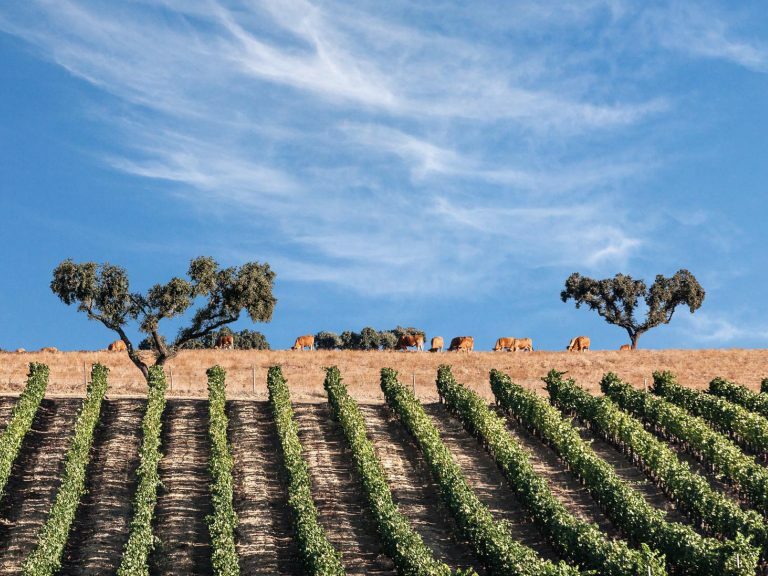 In fact, the region’s vineyards flank the Duero River to the north and south, stretching up to the limestone cliffs where the valley intersects with the Meseta Central, a plateau that rises between 700 and 1,000 meters above sea level. Evidence of winemaking in this area dates back 2,600 years, and one of the region’s most significant producers, Bodegas Vega Sicilia, has been turning out its renowned red wines since the mid-19th century. However, when Ribera del Duero received its Denominación de Origen (DO) status in 1982, there were only nine wineries in the region. Since then, Ribera del Duero has evolved substantially. Over the past few decades, its finely crafted Tempranillo-based wines have risen to international prominence. Today, nearly 300 wineries have put down roots in Ribera del Duero. More than 22,000 hectares of vines are planted in sandy soils that are sometimes mixed with chalk and limestone and are sometimes more alluvial, with varying exposures and elevations throughout the valley. Approximately 95 percent of the vineyards are planted with Tempranillo known in the region as Tinto Fino or Tinta del País. These names distinguish the regional Tempranillo and its expression of Ribera del Duero’s terroir from the wines of nearby Tempranillo-producing regions. Vineyards have been propagated using mass selection, which results in a richness of genetic material. The name Tempranillo is derived from the Spanish word for early, which may be a nod to the grape’s propensity for early budding and ripening. It’s an ideal grape for the sunny but short growing season in this region. 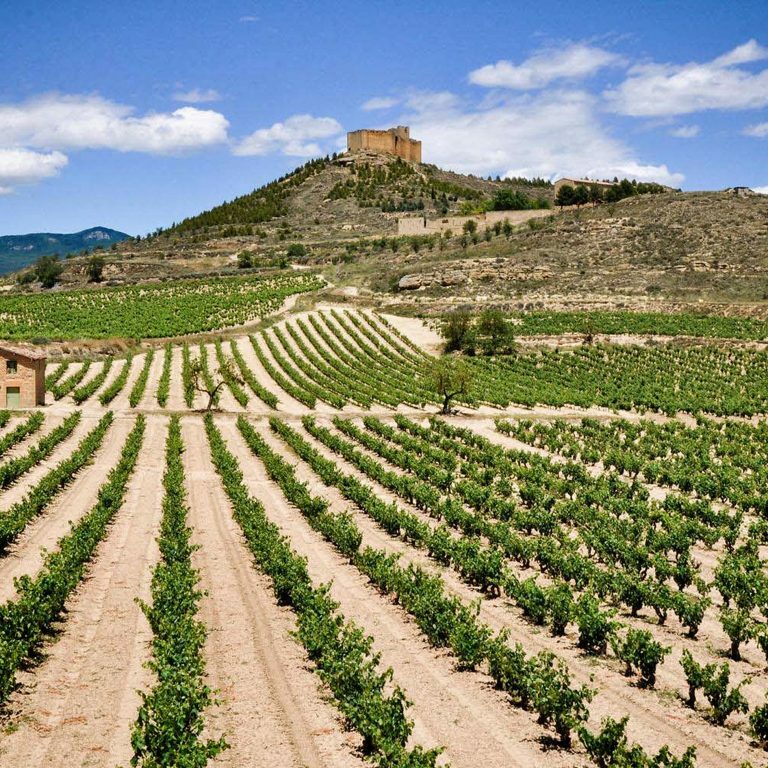 The variety has adapted to Ribera del Duero’s harsh climate, growing conditions, and soils over centuries. It yields wines that are powerful and concentrated but that retain a high degree of acidity. Ribera del Duero runs 115 kilometers from east to west and is about 35 kilometers across. There are nearly 22,500 hectares under vine. Most of the region’s high-altitude vineyards are planted at elevations between 760 and 945 meters above sea level. The majority are north- or south-facing on hillsides. Nearly 95 percent of the DO is planted with Tempranillo. Approximately 35 percent of those vines are 25 years old or older, including about 323 hectares of vines that are more than 100 years old. 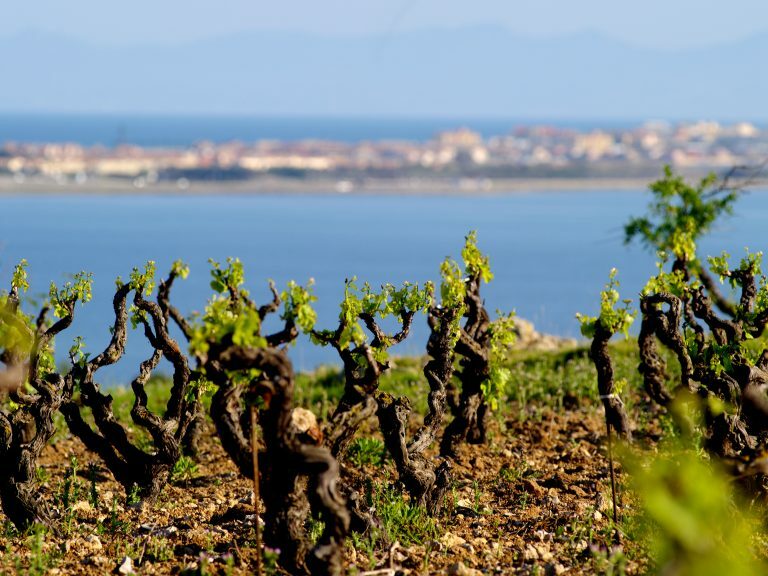 Older vines have deep roots that help them survive the region’s harsh climatic conditions. They tend to produce even yields and smaller fruit, but they give wines with exceptional structure and balance. 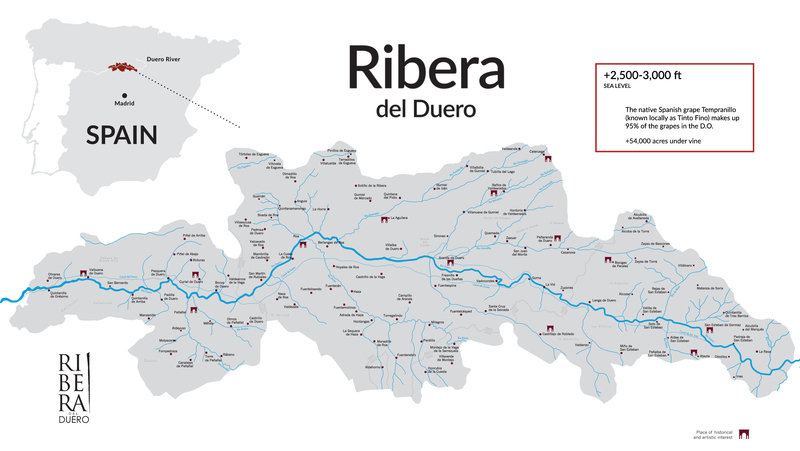 Ribera del Duero has a Mediterranean climate influenced by the Mediterranean Sea and the Atlantic Ocean, but the region also experiences a high degree of continentality, marked by winters that are long and cold, and summers that are hot and dry. Rainfall is low to moderate and tends to occur in winter and spring. The area experiences sudden temperature changes throughout the year and fluctuations in temperature of up to 50 degrees a day. This diurnal shift slows the ripening process and results in softer, suppler tannins. These variations enhance the quality of the region’s wine. Frost, though, is a major threat in Ribera del Duero. It can hit as late as June and as early as September, and it’s been known to affect the entire vineyard area. Site selection, therefore, is an especially important aspect of the region’s viticulture. Ribera del Duero’s sedimentary soils are made up of alternating layers of sandy silt and clay, with limestone, marl, and chalky concretions. In the eastern part of the region, clay, limestone, and alluvial soils dominate. In the west, moraine, sandstone, and limestone are common. Erosion and lack of water also pose threats. Irrigation is permitted, and is used for young vines and during extreme drought conditions. The discovery in 1972 of a large 4th-century mosaic in Baños de Valdearados depicting Bacchus, the Roman god of wine, is one piece of evidence that suggests that people have been making wine in Ribera del Duero for many centuries. 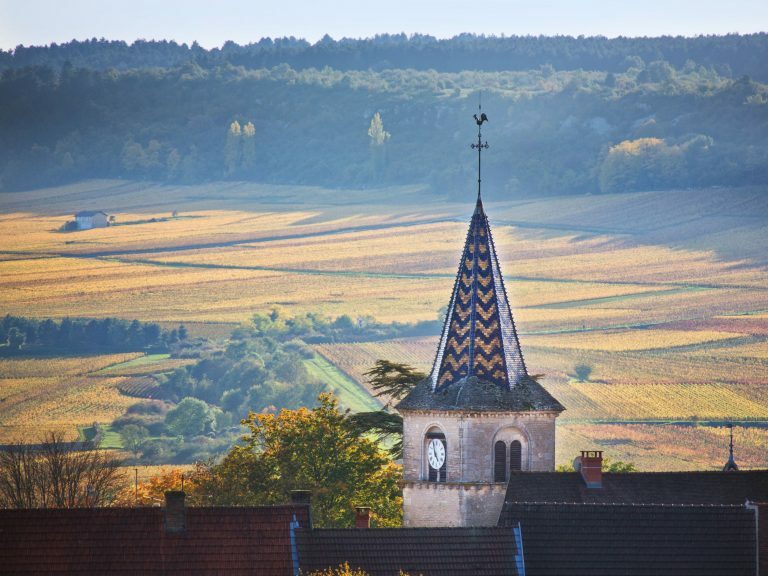 In the 12th century, vineyard practices were refined by Benedictine monks, among others, who brought a more sophisticated style of viticulture to the region from Burgundy. In 1864, Eloy Lecanda y Chaves, a Bordeaux-trained Spanish winemaker, established Vega Sicilia east of Valladolid. He planted his vineyards with Tinto Fino, as well as the Bordeaux varieties Cabernet Sauvignon, Merlot, and Malbec, and went on to create artful wine blends that had significant commercial success. Vega Sicilia remains one of Ribera del Duero’s most notable producers today. Another winemaker, Alejandro Fernández, saw potential in the region during the 1970s. He made wines from grapes grown around the village of Pesquera del Duero. His wines, brought to the U.S. market in the 1980s, were internationally acclaimed. Before the region became a DO, most growers sold grapes to co-ops that vinified them and sold the wine in bulk. It wasn’t until the success of producers like Vega Sicilia and Alejandro Fernández that growers were inspired to vinify and market their own wines. In time, a small group of growers applied for DO status, which was granted to Ribera del Duero in 1982. The region has been on an upswing since. Ribera del Duero wines took off in Spain’s domestic market in the 1990s, and they’re becoming increasingly popular worldwide. As of 2016, there were 282 wineries in Ribera del Duero and 8,334 growers. After receiving the DO designation in 1982, Ribera del Duero was approved, in 2008, for Denominación de Origen Calificada (DOCa) status, but it never pursued the acquisition of the classification, so it remains a single DO appellation. There are no regional sub-appellations in Ribera del Duero, though a variety of qualities and styles can be found there. The appellation pertains exclusively to red and rosado (rosé) wines. DO regulations maintained by the Consejo Regulador (the official board that monitors and regulates Spain’s DOs) do not permit white wines in Ribera del Duero. To be recognized as DO, red wines must contain a minimum of 75 percent Tempranillo, though most are made with 100 percent. Blends may contain up to 25 percent Cabernet Sauvignon, Merlot, or Malbec. No more than 5 percent Garnacha or Albillo, altogether, may be added. Rosado wines must be made with a minimum of 50 percent of the region’s authorized red varieties. The vast majority of Ribera del Duero wines are 100 percent Tempranillo, though there are some notable producers that successfully blend in Bordeaux varieties. A small amount of rosado wine is also made in the region. Over the past 10 years, Ribera del Duero has produced approximately 650,000 hectoliters of DO wine, on average. Known locally as Tinto Fino or Tinta del País, Tempranillo is a thick-skinned, hearty variety that buds and ripens early, so it matures well during the short growing season and extreme climatic conditions of Ribera del Duero. After centuries of adaptation to the climate, soils, and growing conditions of Ribera del Duero, this variety produces wines with more concentrated flavors than those made from Tempranillo in other regions. Ribera del Duero reds are deeply colored, full-bodied wines with firm tannins and medium to high acidity. Classic flavor notes include blackberry, cassis, plum, red berries, vanilla, spice, leather, and tobacco. These are complex, structured wines with lively acidity and great potential to develop over time. There are three red Bordeaux varieties that are authorized for use in the DO’s Tempranillo blends. This late-flowering, late-ripening variety is a descendant of Cabernet Franc and Sauvignon Blanc. It offers black fruit, herbaceous, and bell pepper notes, as well as firm tannins and a boost of acidity. This grape tends to be extremely vigorous, though it’s susceptible to frost, coulure, and downy mildew. Descended from Cabernet Franc and Magdeleine Noire des Charentes, Merlot contributes cherry, plum, and herbal notes with soft tannins and a moderate level of acidity. Indigenous to Cahors, France, this early-budding, midripening variety descends from Prunelard and Magdeleine Noire des Charentes. It lends black fruit flavors, medium tannins, and bright acidity. Ribera del Duero is practically a monoculture of Tempranillo, but a very small percentage of the Garnacha Tinta and Albillo varieties can be found in the region. These varieties may occasionally be used in the DO’s rosado blends. Up to 5 percent of Garnacha Tinta or Albillo is also permitted in Ribera del Duero’s red wines. This is an early-budding but late-ripening grape that is resistant to drought and wood disease. However, it’s prone to a number of complications, including coulure, millerandage, bunch rot, downy mildew, and oxidation. It flourishes in the limestone, sand, and alluvial soils of Ribera del Duero. It offers a moderate level of tannins and acidity along with dominant strawberry notes. This white variety is indigenous to Ribera del Duero. It was discovered in 2010 that Albillo Mayor is a parent of Tempranillo. This grape buds and ripens early and produces low yields. Albillo wines are full-bodied with low to medium acidity and flavors of pineapple, apple, and pear with hints of anise and fennel. Historically, the variety has been blended with Tempranillo to add brightness. These days, it’s more likely to be used in the region’s rosados. Some non-DO white table wines are also made with Albillo. What’s Happening in Ribera del Duero Today? Ribera del Duero wines are attracting increasing international attention. 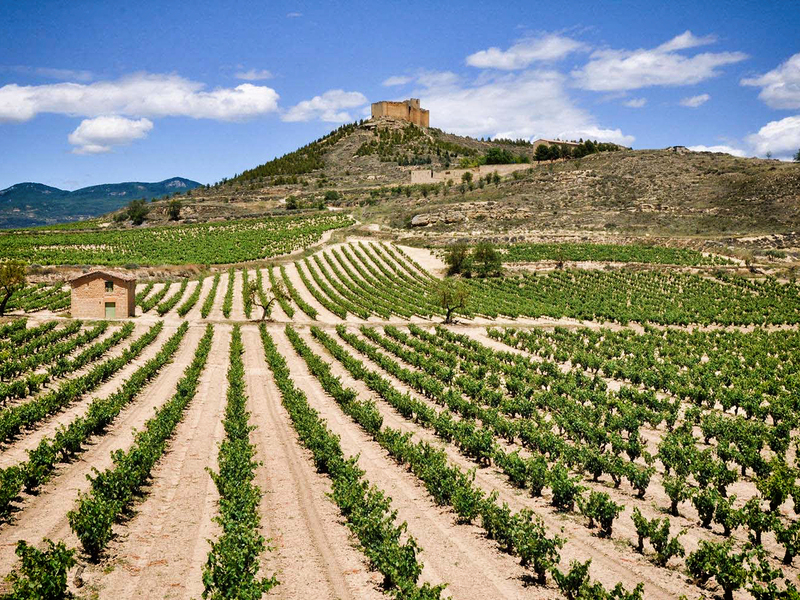 The region sells its entire production every year and is second, behind Rioja, for total DO wine production in Spain. While there are some large players, Ribera del Duero is made up for the most part of small, family-owned operations. 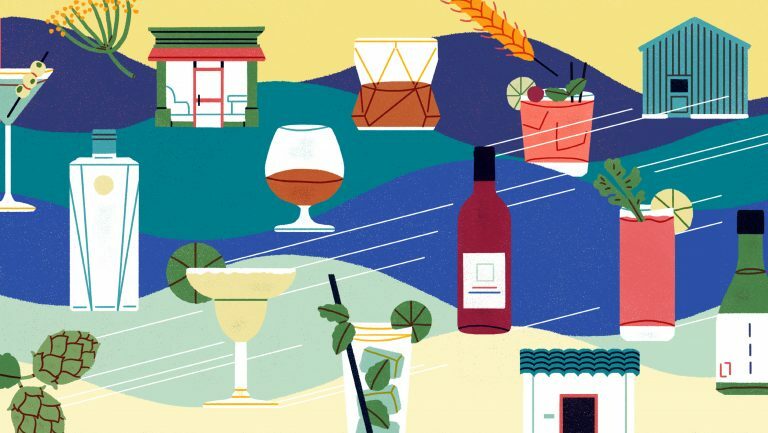 There are 282 wineries, but more than half of them produce fewer than 9,000 cases annually—and only 14 wineries sell over 75,000 cases. People in the region believe that Ribera del Duero wines are really made in the vineyard. More than what takes place in the cellar, it’s the climate, soils, and growing conditions that give these wines their distinctive character. The emphasis is on viticultural practices that encourage the grapes—Tempranillo, in particular—to express the characteristics of the regional terroir. 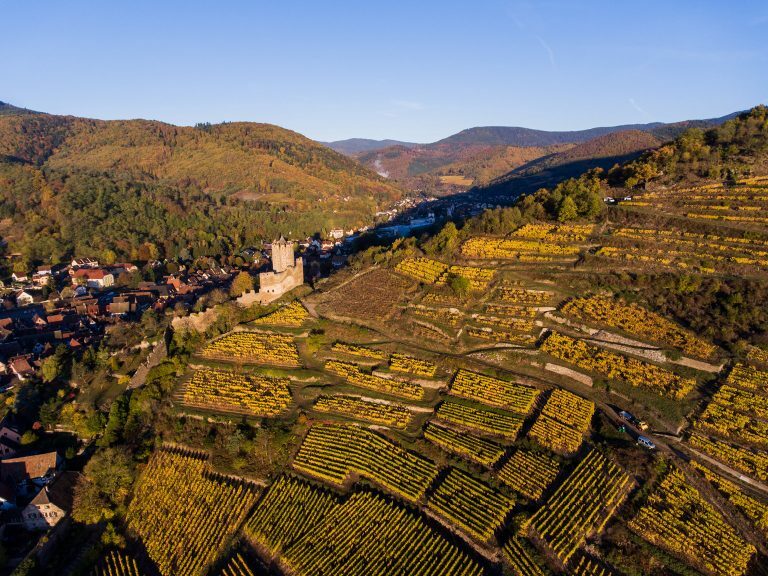 A reflection of this is that, on average, the region has recorded annual production of 4,000 kilograms of grapes per hectare, which translates into 28 hectoliters per hectare. By contrast, top Bordeaux appellation yields have recently been above 40 hectoliters per hectare. Low yields are considered important, as it is believed that they produce higher-quality wines. Ribera del Duero producers often follow a more modern approach to wine classification. While the DO’s basic back labels are often used, many producers resist being restricted to designations that equate the quality of their wine with the length of time it has spent in oak and bottle. As a result, high-end Ribera del Duero wines will often just bear the basic Cosecha back label, similarly to how Super Tuscans are labeled within the Indicazione Geografica Tipica denomination in Italy. Local producers have found other ways to define their portfolios, in what they believe are more relevant terms. For example, they may classify their wines according to the altitude of the vineyard where the grapes were grown. In this case, an entry-level wine would come from a vineyard on the valley floor, and the top cuvée from the higher elevation. Alternatively, the wines may be classified according to the age of the vines, or by how restricted the yields are.